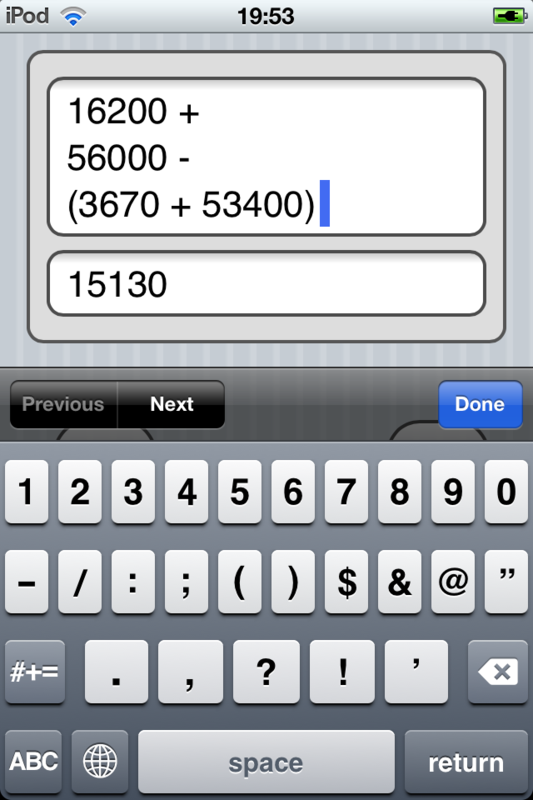 exCalc is a powerful yet easy to use calculator for any mathematical expression. Input math and logical operators, parentheses, variables, constants, operands, functions, arrays, objects, whatever you need or want to work with. All of your work is available for viewing at any time, too. Click “…More” to learn why you should download this App today! You’re working on some important equations and you need answers fast! Grabbing your exCalc, you quickly enter an expression into a field and immediately have the value figured out and displayed for you. Quickly, you move on to your next task, feeling incredibly productive. exCalc is a very powerful yet simple to use calculator of mathematical expressions. Give it your toughest equations because this app can handle it with speedy and ease. Go ahead and enter an expression into one of the fields in the main window then watch as the solution value is presented instantly in the other field. Work with math and logical operators, parentheses, variables, constants, operands, functions, arrays, objects and just about anything else you want to throw at it. You’ll be whipping through calculations like crazy! You’ll love having the exCalc tool on hand for doing all of your important calculations. Need to make an adjustment to a calculated expression? No problem! This is one of the only applications that allows you to see and edit all of your calculated expressions, regardless of how long ago you entered them. Great for when you have a typo, want to round off, test different numbers or refer to previous entries. All of your complete calculations are saved, so you can refer back to them at any time. The exCalc app is super simple to use. Just type your equation into one of the boxes in the main window, doesn’t matter which one. Simultaneously, the answer appears in the other window on that screen. For fun, go to the box containing the answer and adjust it then watch the first box. Now, the answer is there! It’s all easy and lightning fast. If you need fast, accurate mathematical solutions, this is the one application you shouldn’t be without. Download exCalc right now and start getting answers. Rounding of result was added.